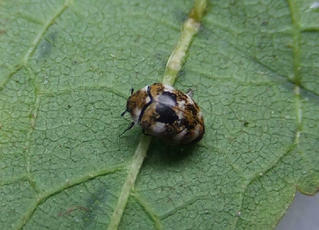 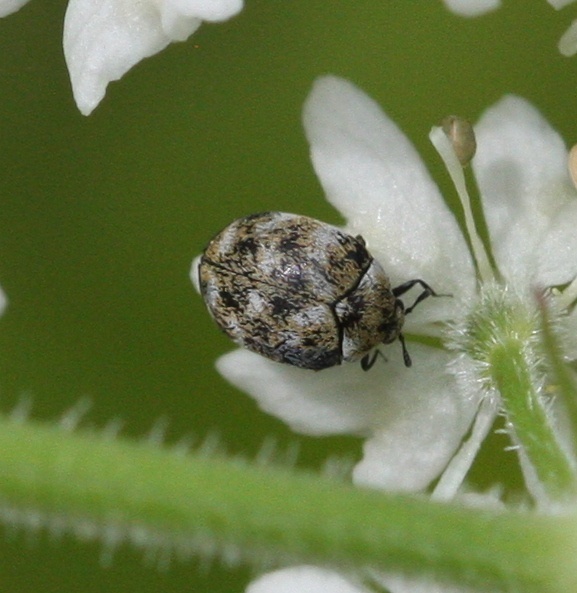 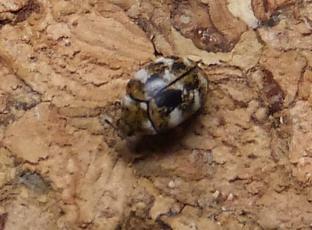 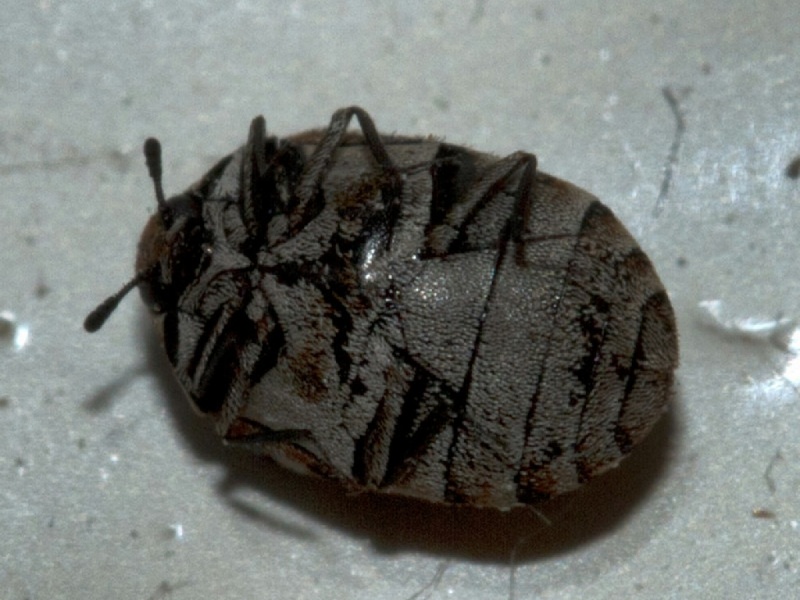 Adults are 2 to 3 mm long and have a mottled pattern of pale beige and darker blackish markings, although both patterning and range of colours vary. In houses searching out sites to lay eggs under carpets etc. 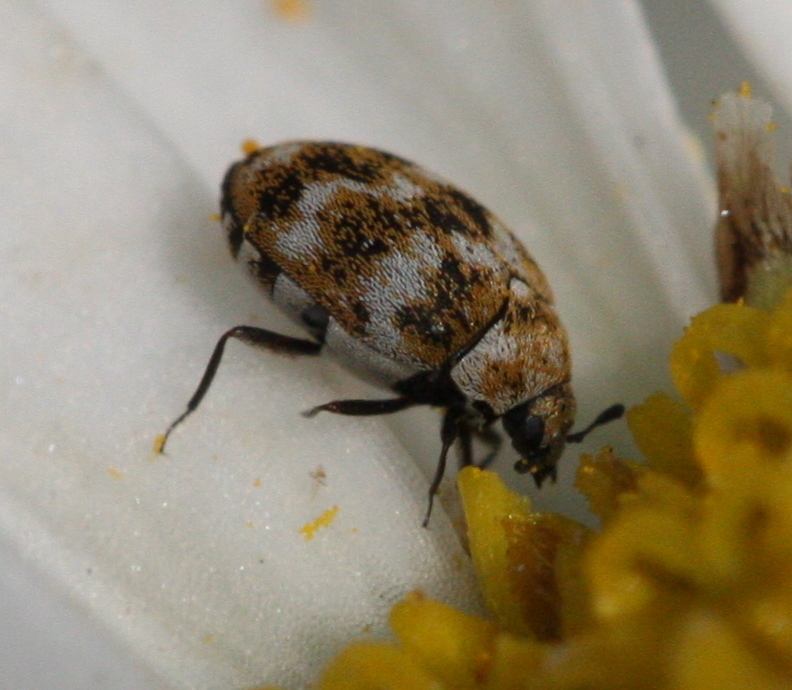 Adults also feed on flower pollen whilst searching for a mate. 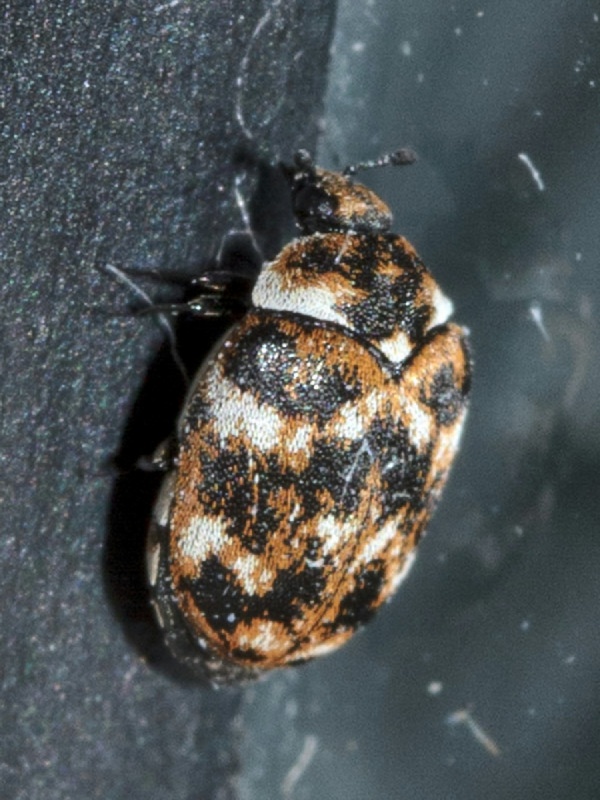 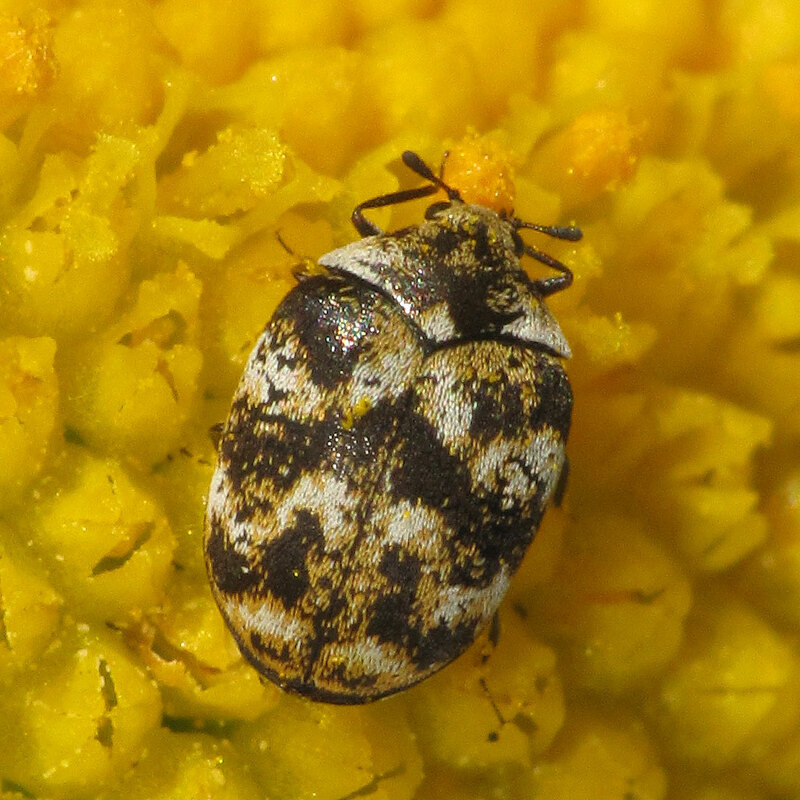 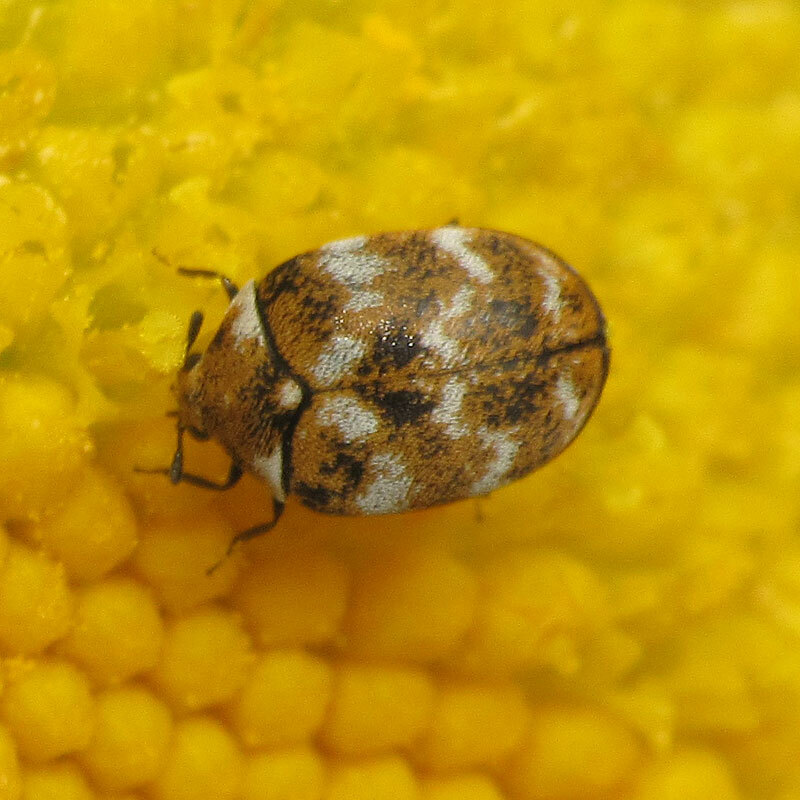 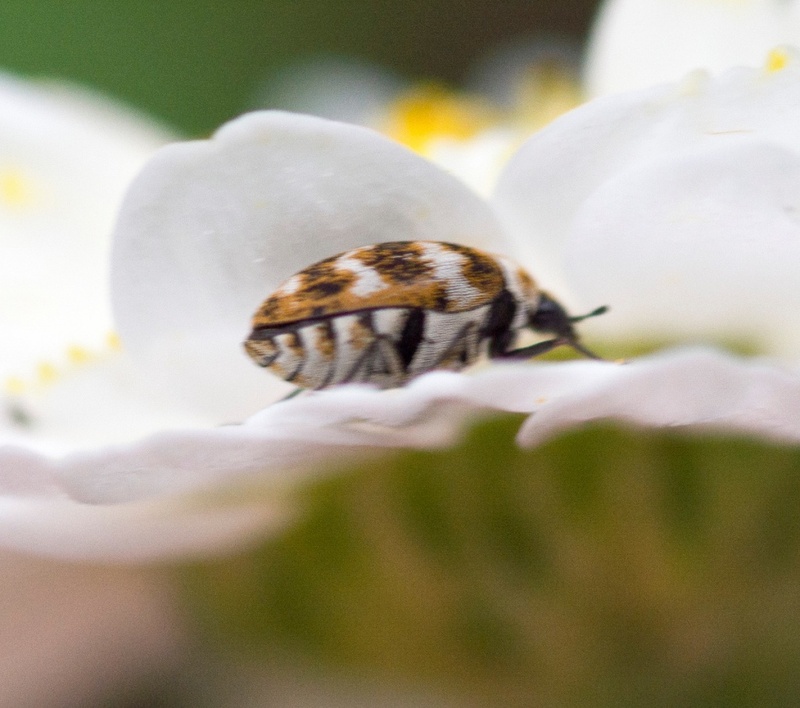 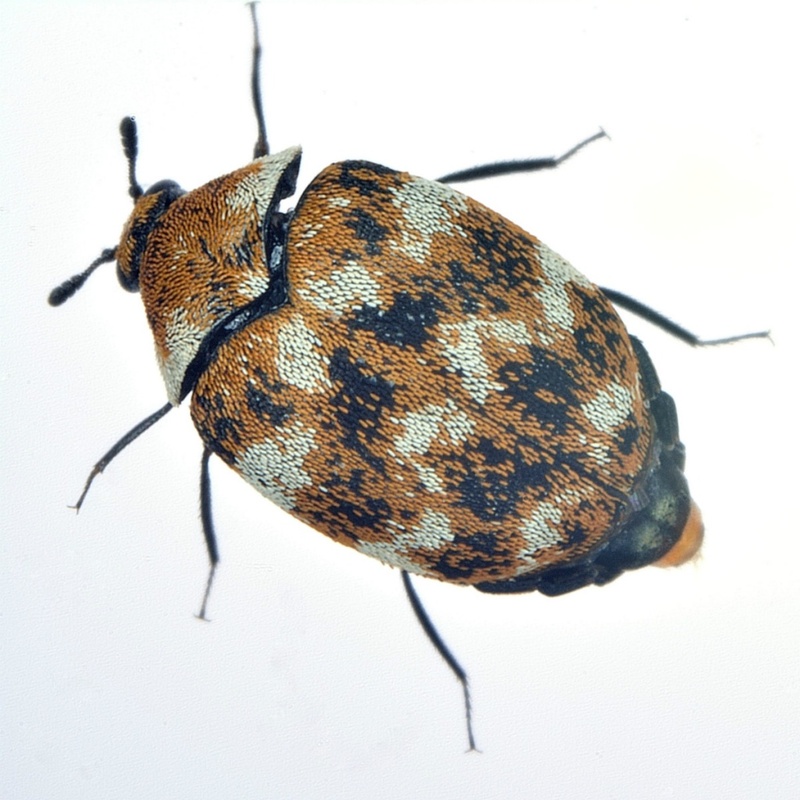 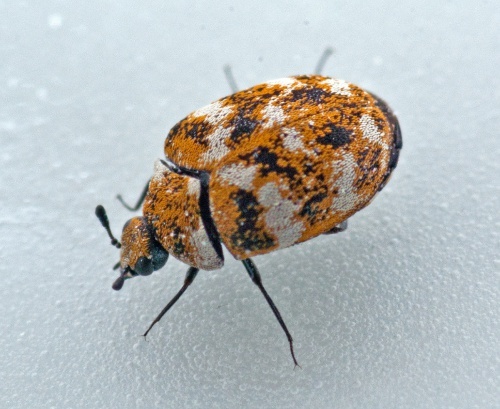 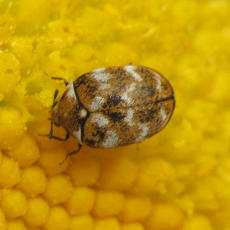 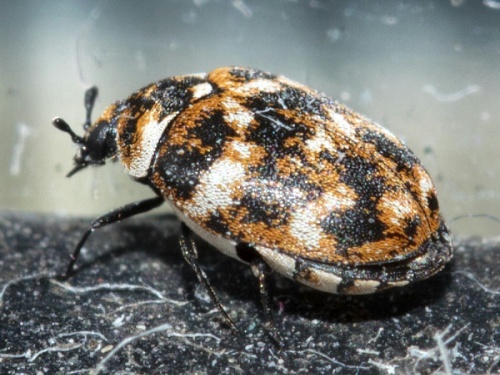 This small but colourful beetle can be a serious household pest. 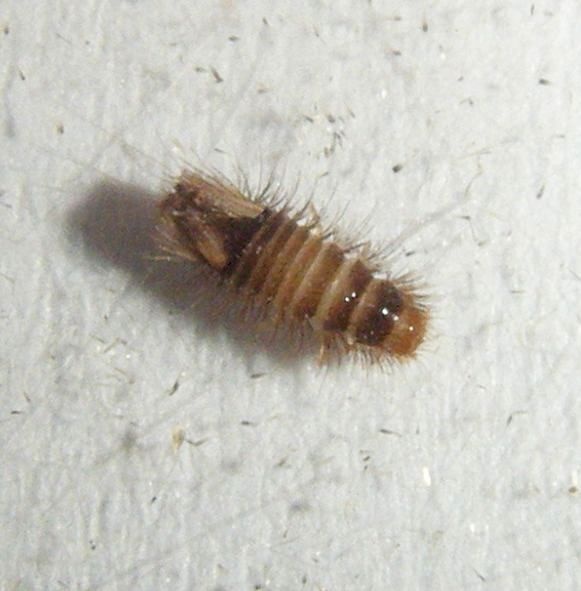 Its larvae, known as 'woolly bears' feed on natural fibres including carpets and clothing. 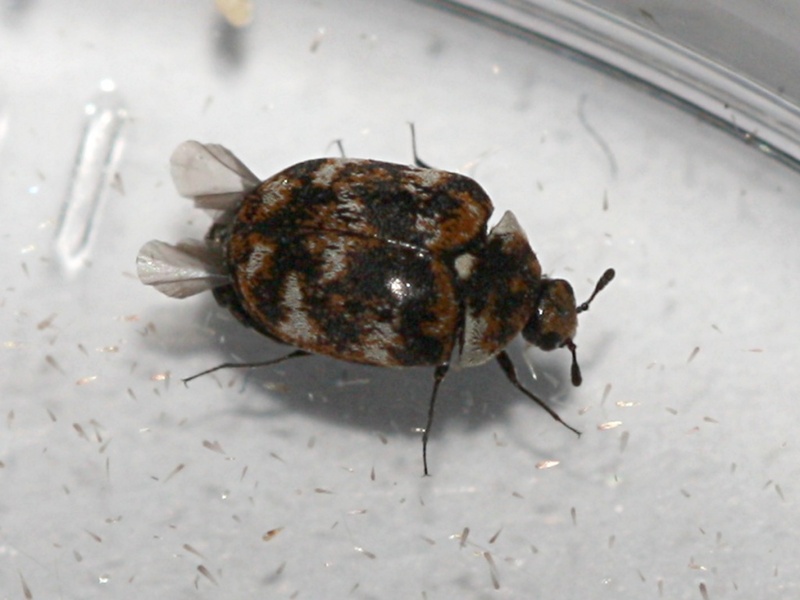 Away from humans, the adult beetles often lay eggs in bird nests but they commonly get into houses and lay eggs under carpets or in cupboards. 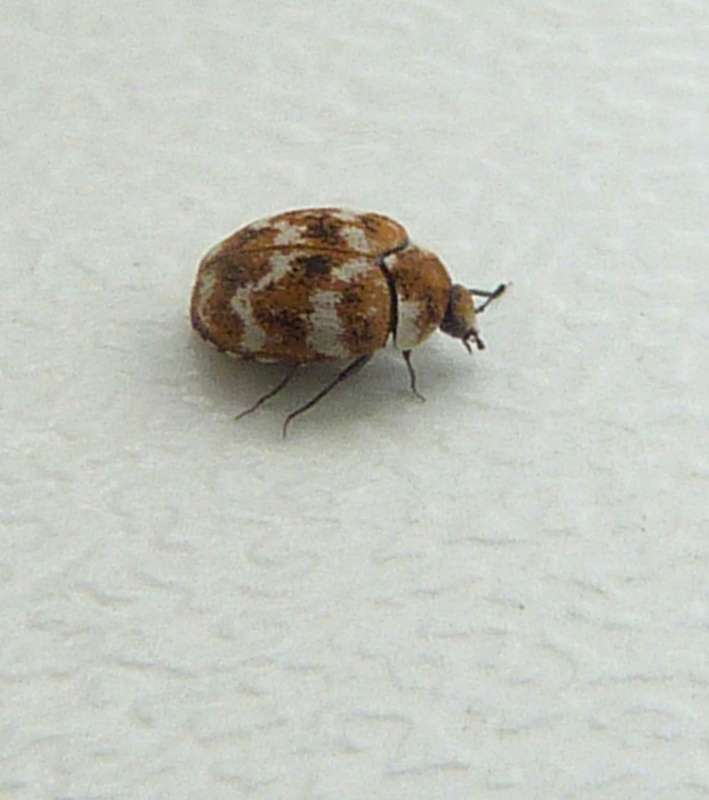 The larvae can take up to three years to develop into adults. 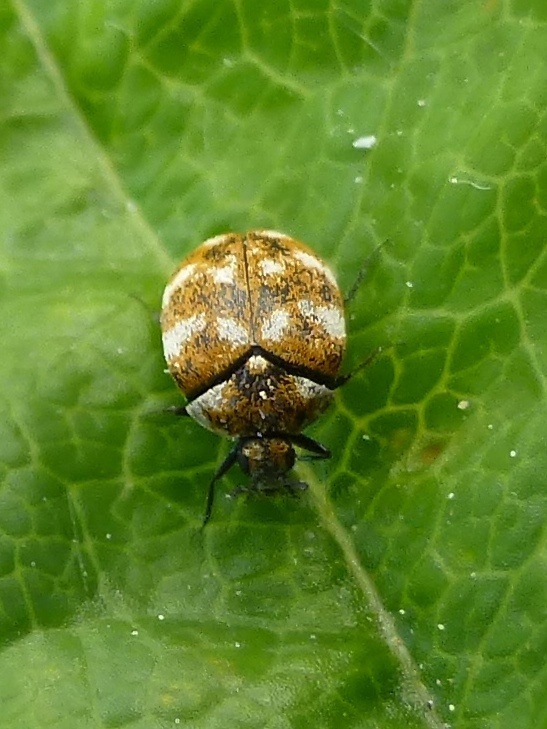 Amongst other favoured larval foods are dead insects and spiders. 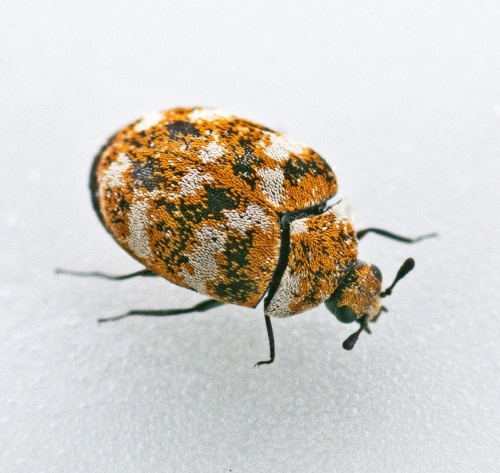 Widespread records from England and Wales.